The Standoff at Sparrow Creek (2018) Bluray 480p, 720p A former cop-turned-militia man investigates a shooting at a police funeral. Parkland (2013) BluRay 480p, 720p A recounting of the chaotic events that occurred at Dallas' Parkland Hospital on the day U.S. President John F. Kennedy was assassinated. 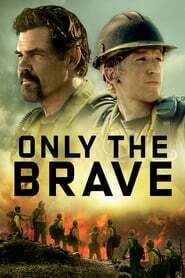 Only the Brave (2017) Bluray 480p, 720p Based on the true story of the Granite Mountain Hotshots, a group of elite firefighters who risk everything to protect a town from a historic wildfire. 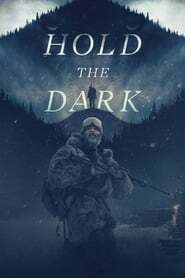 Hold the Dark (2018) NF WEBRip 480p, 720p After the deaths of three children suspected to be killed by wolves, writer Russell Core is hired by the parents of a missing six-year-old boy to track down and locate their son in the Alaskan wilderness. The Walk (2015) Bluray 480p, 720p In 1974, high-wire artist Philippe Petit recruits a team of people to help him realize his dream: to walk the immense void between the World Trade Center towers. The Grey (2012) Bluray 480p, 720p After their plane crashes in Alaska, six oil workers are led by a skilled huntsman to survival, but a pack of merciless wolves haunts their every step. World War Z (2013) Bluray 480p, 720p Former United Nations employee Gerry Lane traverses the world in a race against time to stop the Zombie pandemic that is toppling armies and governments, and threatening to destroy humanity itself. Spectral (2016) WEB-Rip 480p, 720p A sci-fi/thriller story centered on a special-ops team that is dispatched to fight supernatural beings.